The Whitman Cluster is located along the Capital Beltway and the Potomac River and is bordered by the Churchill Cluster, Walter Johnson Cluster and BCC Cluster. 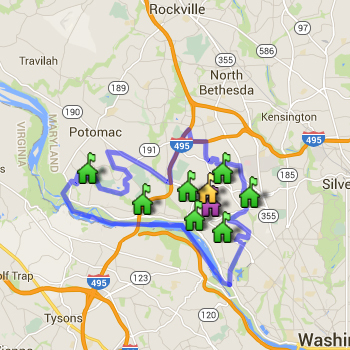 Homes in Bethesda, Glen Echo, Cabin John and Potomac articulate to the Whitman Cluster. Bethesda ES also articulates to Westlands MS and Bethesda-Chevy Chase HS. The median home price in the Whitman Cluster is around $990,000 making it one of the most expensive clusters in Montgomery County. 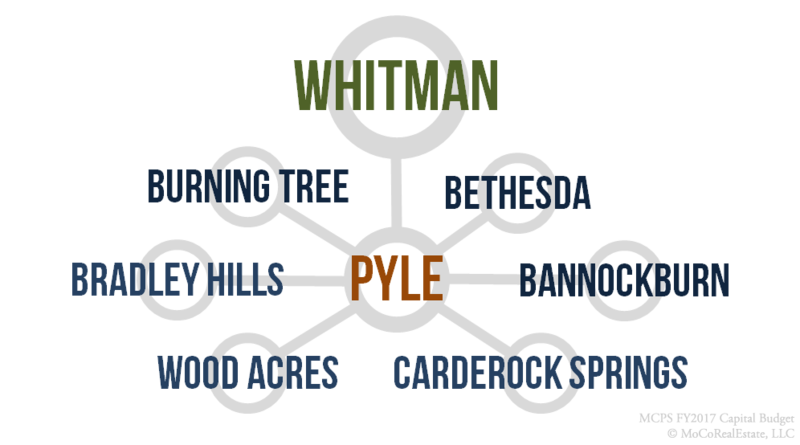 See all homes for sale and homes by price break in the Walt Whitman Cluster below. Always verify a home's school assignment directly with MCPS.